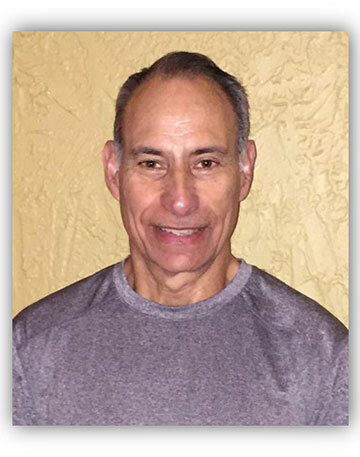 Denny Rubin received his Personal Training certification from AFAA in September of 2004. Denny’s goal is to help his clients live a healthy lifestyle by working on strength, cardio and nutrition. When he is not personal training, he is the instructor of numerous fitness classes. Denny believes the purpose of slow-lift is to train people to lift weights in a slow and controlled manner to prevent injury. This will be Denny’s 19th season of competing in Triathlons. He has competed in approximately 100 triathlons including the 1/2 ironman. In addition Denny has raced and completed 4 marathons. His clients range in age from teenagers to people in their 80’s. Denny is available by appointment only. •Traveling, cycling, reading and crossword puzzles.